1) Prince (Mwana' Mulena) Siisi Mwanawina (s/o Moyo Akabana). 1) Princess (Mukwai) Makwibi Mwanawina, Mulena Mukwai of Nololo. b. September 1919 (d/o Moyo Akabana). Installed as Mulena Mukwai of Nololo, 1959. Mulena Mukwai Mboanyikana of Libonda 1951-1959. m. the Ishee Kwandu. 3) A daughter. m. Lifunana Akaabeswa Imasiku (b. at Nololo, 1921), sometime Sec. to Litunga Mwanawina III, son of Akaabeswa Imasiku, by his wife, Iliayamupu. 1) Prince (Mwana' Mulena) Akashambatwa Mbikusita-Lewanika. b. 4th February 1948, educ. Univs. of Boston; Carleton, Canada; Cornell, and Jackson State, Mississippi. Dep. Gen. Mngr. National Milling Co. 1975-1976, Gen. Mngr. Blackwood Hodge & Co. Ltd. 1991-1992, Minister for Science, Technology & Vocational Training 1991-1992, Sec-Gen. National Party, Presdt. Agenda for Zambia Party since 1996, Chair. National Economic Advisory Cncl., Chair. Information & Publicity and Spokesperson for the Movement for Multi-Party Democracy (MMD), Economics Assoc. of Zambia, Zambia Research Foundn., Group Dir. of Projects Industrial Dvpt. Corp., Fellow Economic Dvpt. Inst. of the World Bank. Author "Marketing Boards and the Challenge of Agricultural Development in Zambia" (1973), "Hour for Reunion: Movement for Multi-Party Democracy; Conception, Dissension and Reconciliation Vol One" (2003), etc. 1) Princess (Mukwai) Inonge Mbikusita-Lewanika [H.E. 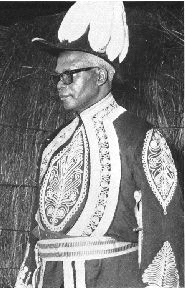 Dr Inonge Mbikusita-Lewanika]. b. at Senanga, 10th July 1943, educ. (B.A.,Ph.D.). Lecturer at Evelyn Hone Coll. of Further Education and Mongu Teacher Trng. Coll. 1965-1972, Professor of Education and Teacher Trng. at the Univ. of Zambia 1972-1980, UNICEF Regional Adviser and Senior Programme Ofcr. in Eastern and Southern Africa and, West and Central Africa 1980-1990, MP (MMD) for Mongu Central 1991-2001, Ambassador and Special Envoy of the Presdt. of Zambia 2001-2002, Ambassador to the USA since 2002. Presdt. African Women Peace Networks (FERFAP), Chair. Zambia Women Parliamentarians, and Zambia All Party Parliamentarians for Population and Dvpt., Mbr. African Women's Committee on Peace and Development of the African Union, AMANI Forum for Parliamentarians for Peace in Eastern and Southern Africa, etc. m. and has issue, two daughters. 1) Prince (Mwana' Mulena) Inyambo Yeta. Vice-Presdt. United National Independence Party. 2000 H.H. 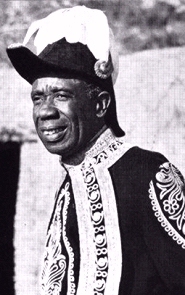 Mulena Yomuhulu Mbumu wa Litunga Lubosi II, Litunga of the Lozi and Paramount Chief of Borotseland. b. as Prince (Mwana' Mulena) Lubosi Imwiko, younger son of Mulena Yomuhulu Mbumu wa Litunga Imwiko Lewanika II, Litunga of the Lozi and Paramount Chief of Borotseland. Enthroned at Lealui as Lubosi II, October 2000.